ERNiCrFe-5 is used primarily for gas tungsten arc and gas metal arc matching composition base metals. 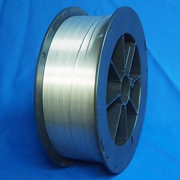 It is also used for welding Inconel 601 and Incoloy 800. It can be used to weld dissimilar metal combinations such as steel, stainless steel, Inconel and Incoloy alloys.